Torre Custom Millwork Division – R.C. Torre Construction Corp. Inc. In addition to our staff of carpenters specializing in framing, drywall and roofing, R. C. Torre’s 3,000-sq. 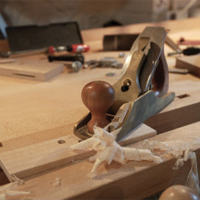 ft. custom millwork shop employs a staff of finishing carpenters who custom-fabricate everything from built-ins and cabinetry to wall panels, mouldings and trim. Working with exotic, traditional and reclaimed materials, our skilled woodworkers custom-create unique, beautiful and functional designs, to complement and complete our clients’ visions. Fabricating to the highest, most exacting standards, no detail is too intricate, no challenge too great for the Torre Custom Millwork Division.